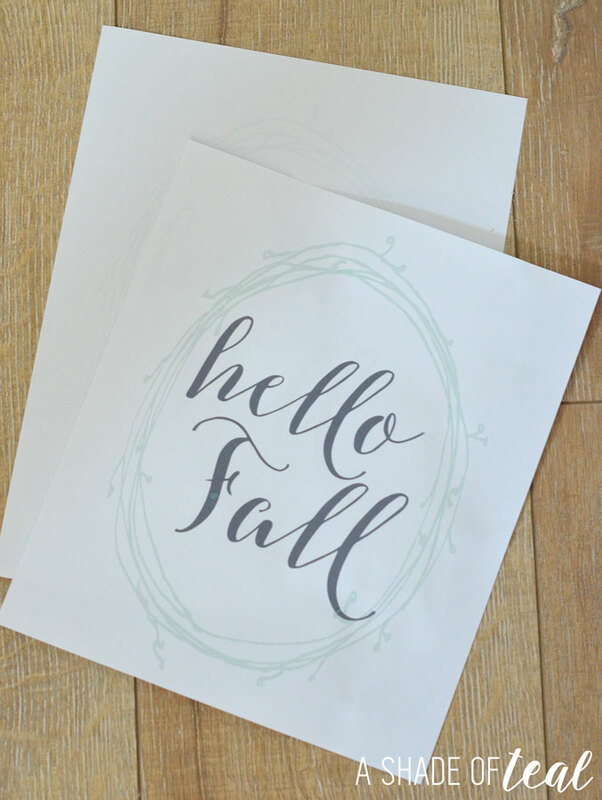 Last week I shared with you my new Rustic Fall Signs. 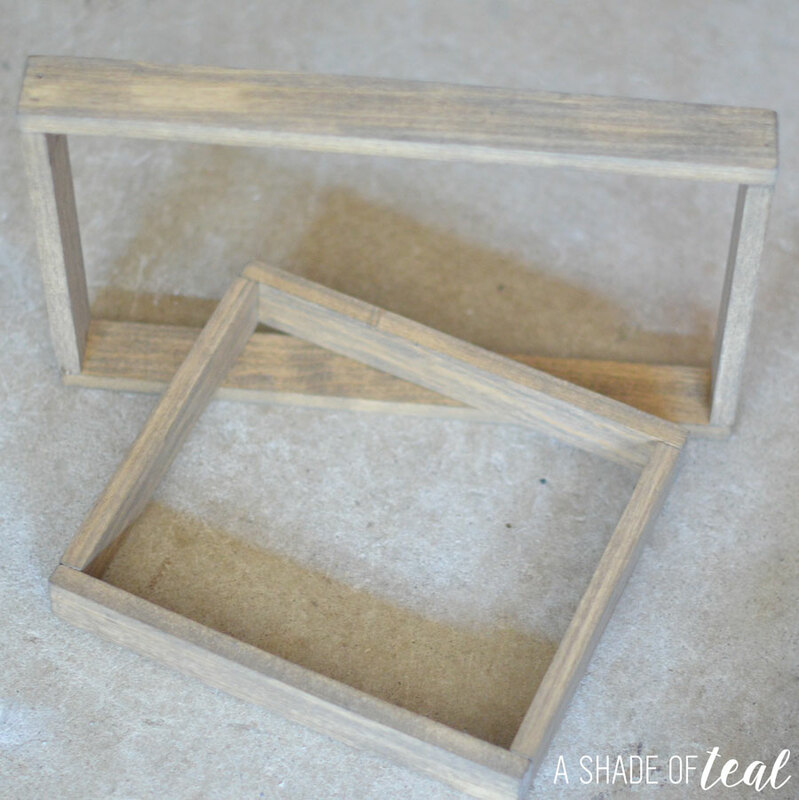 Today I’ll share how to make the Simple Rustic Wood Frames! As I mentioned before, I’m loving the phrase “Hello Fall” and wanted to find a piece of art for my mantle so I made it. To get started cut the wood to size. 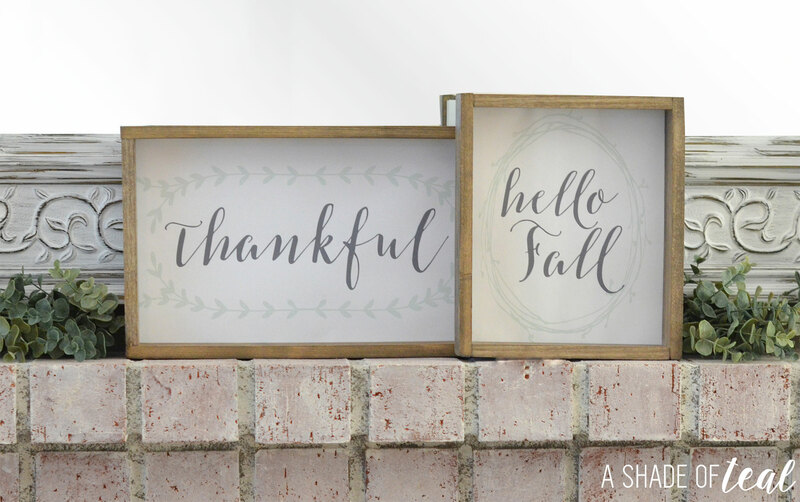 I made my frames 8 1/2″x 9 7/8″ (hello fall) and 14″x8 3/4″ (thankful). 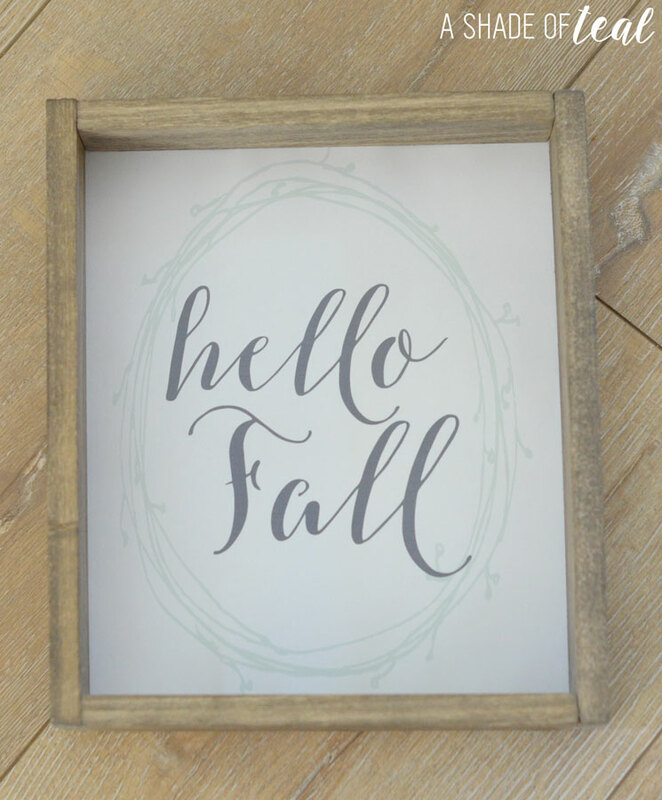 To copy these dimensions you’ll need to cut 2 pieces at 7 1/2″ and 2 at 9 7/8″ for the hello fall sign. Then 2 pieces at 14″ and 2 at 7 3/4″ for the thankful sign. Next, lightly sand the edges then start assembling together with a nail gun. I only used 2 nails at each end. Next, add the stain. 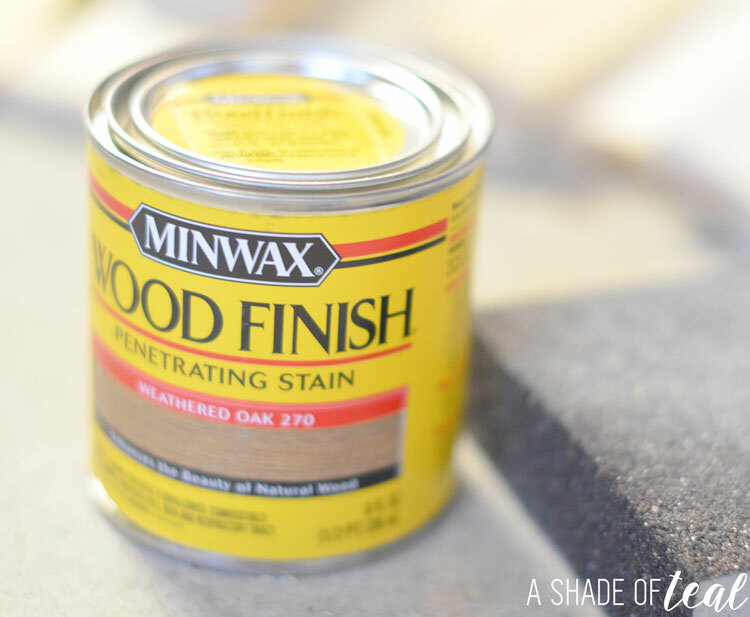 I used Minwax Weathered Oak mixed with a couple drops of Dark Walnut. Now you’ll need some art prints. I created my own and you can download here. 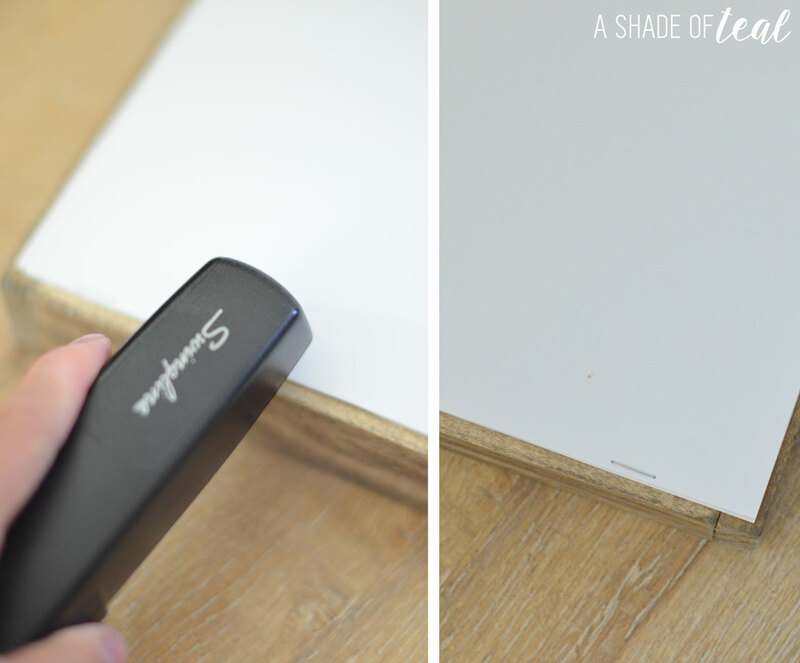 Otherwise print out your prints and cut to size. To attach to the frame I just used your everyday stapler and stapled it in a couple places. Turn your frame over and that’s it! 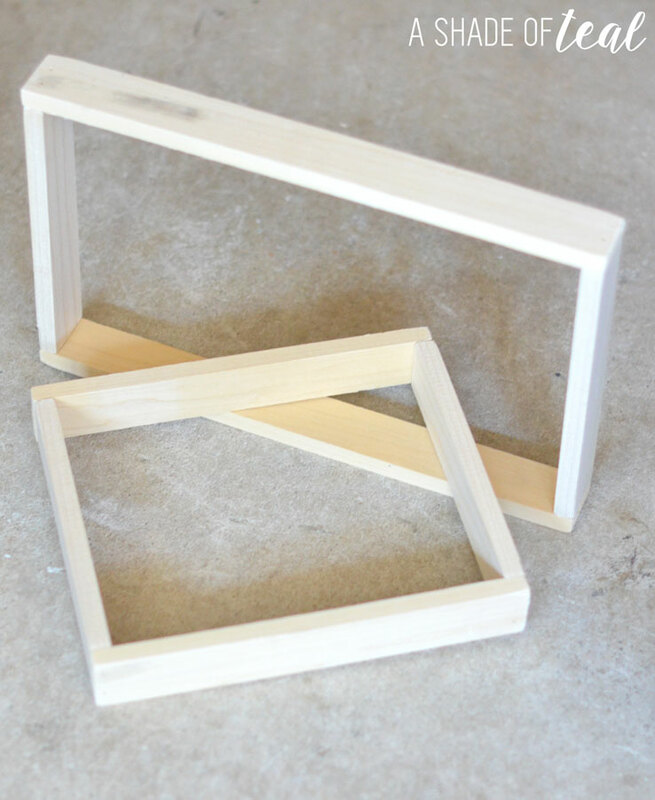 To see more of my new Simple Rustic wood frames all styled check out here. Thank you for the fall signs they are just the right colour and script for my daughter. I am putting these together for her as a surprise. Just one thing though, did I miss something? 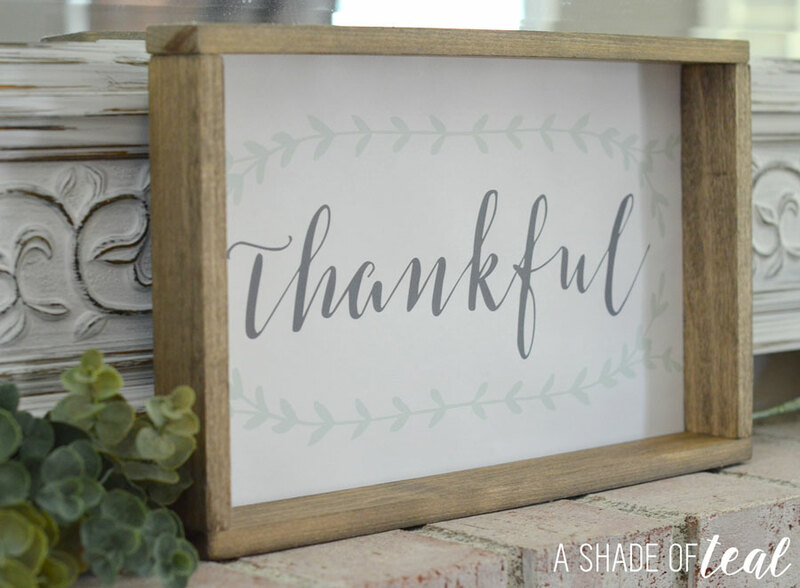 the size that you give for the 14″ for the thankful sign seems off ? I printed mine out and it fits on regular printer letter size paper. Sorry if I missed out on how to print or something. ? Where do you find wood at that dimension? I’ve looked around and didn’t find any. What kind of paper did you use? I would think it has to be thick or specialty paper so it doesn’t billow or tear. 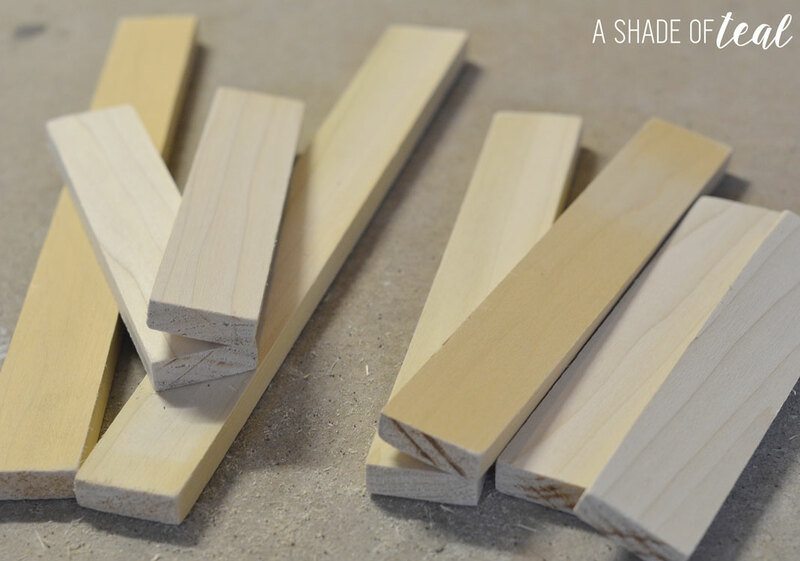 What size of nails in your nail gun do you use?